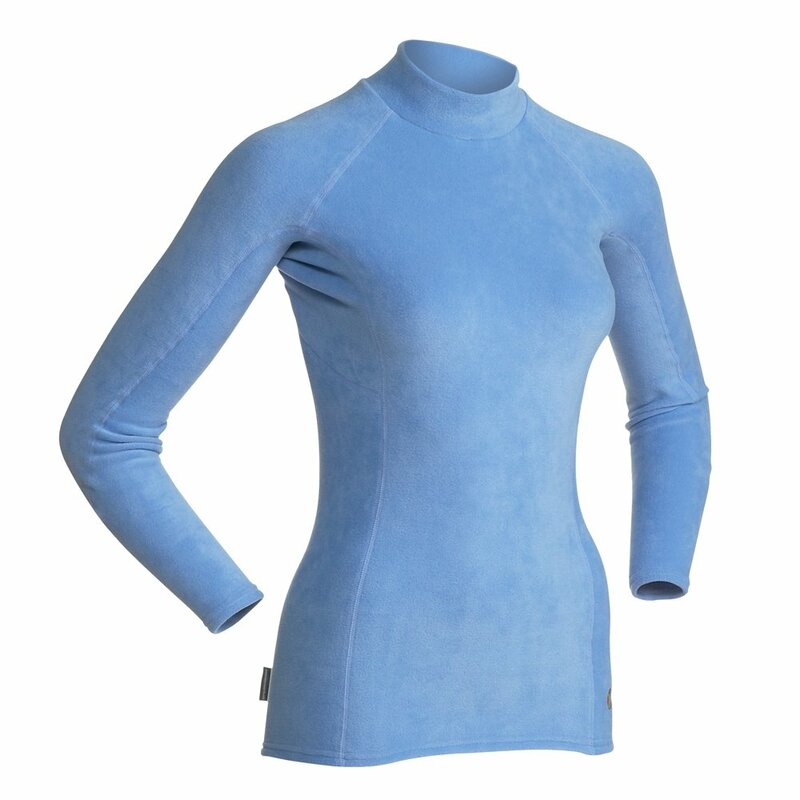 The Women’s Long Sleeve Thick Skin was released as IR’s second product in 1998 (after the original Guide Shorts), and has remained almost unchanged since the first version. 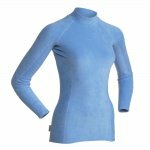 Modeled after a surf-style tight fitting rash guard, the Thick Skin is made with 200 weight, 4-way stretch polyester fleece (93% polyester/7% spandex) that is low bulk, dries quickly, and as a result has an excellent warmth to weight ratio. The tight fit allows the shirt to absorb less water, and it doesn’t sag when damp. The Thick Skin is warm enough to be worn by itself underneath a jacket on cooler days, or as a low profile base layer on freezing days. Also features flat seam construction and a high turtleneck style collar.